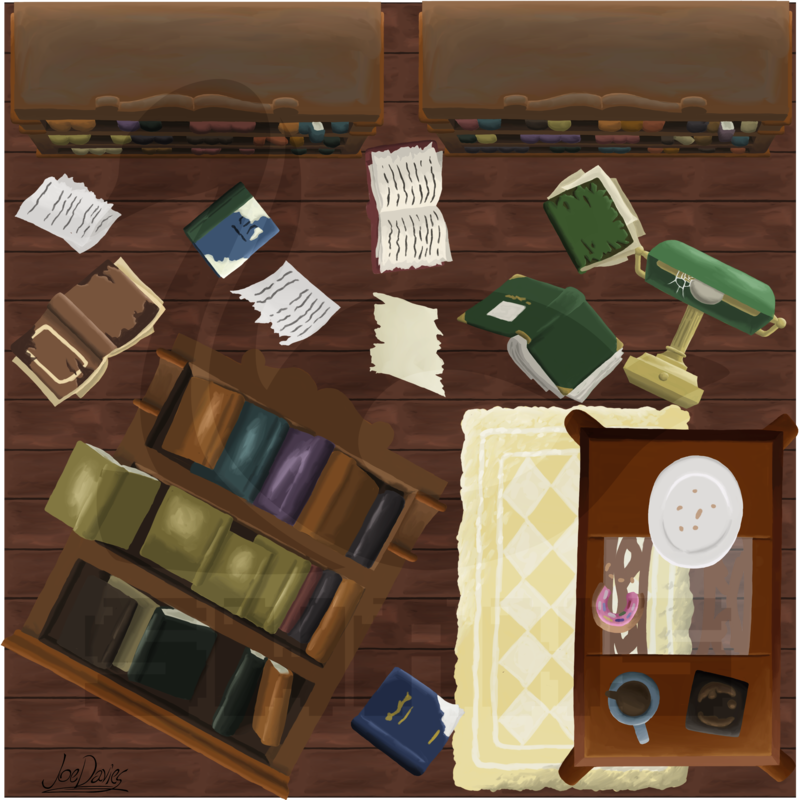 The second “world” of the game; the Library. This world required probably the least amount of assets to draw, but they all required a great amount of detail, as it involved a lot of fallen and stored books. But the hard work really paid off I think.